Discussion in 'RC Radio Systems' started by Bartman, Feb 11, 2019. Been toying with the idea of making a change from my two legacy manufacturer radios (JR and Hitec) over to a FrSky/Taranis radio. 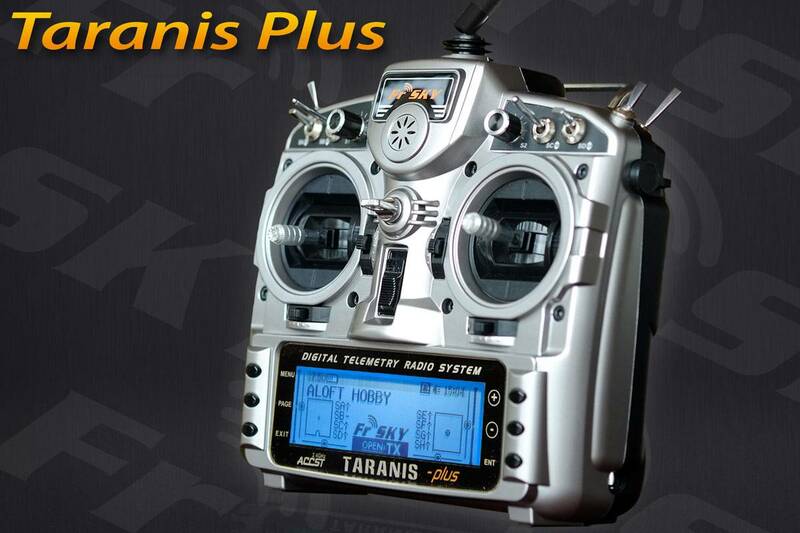 I bought a Taranis X9D a few years ago but sold it after I unpackaged it and it felt kinda cheap. A friend brought over a newer X9D Plus the other day and it was better but still felt like a budget radio. There are plenty of people out there using these that will say they are nothing but nuts on rock solid, including our own Roger Forgues aka @Forgues-Research and in his case he's a full blown addict! If you know Roger you know he's not one to dabble in anything so it says a lot to me that he's using them, customizing them, programming them in ways I might not ever realize are possible.......you get the point. So let's hear what you have to say about them. There are plenty of places to bash stuff and rub our love on other stuff but in this thread let's see what we can learn. We're only about five years behind the rest of the RC world in setting up a Taranis discussion thread! I'd complain to the owner or previous owner about that! AloftHobbies.com is the official US distributor. 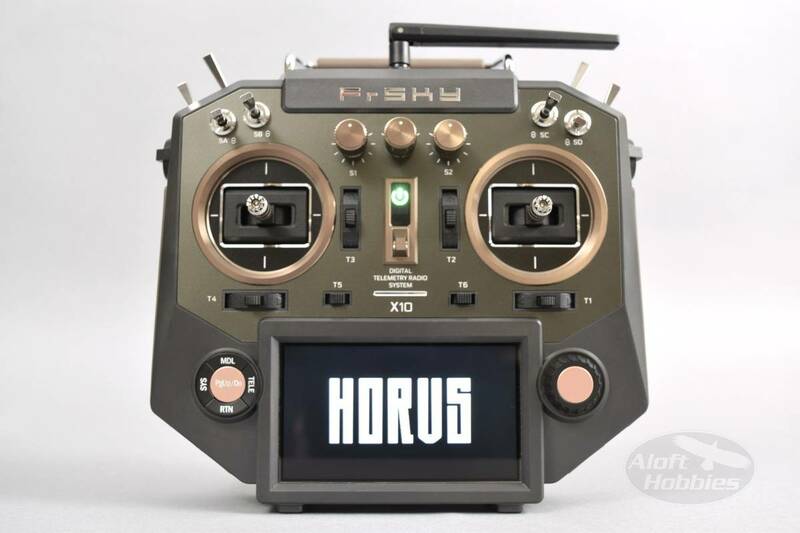 The Horus X10 transmitter is FrSky's answer to pilots that are used to the legacy brand radios that want the reliability and very affordable receivers of the FrSky system but with a menu driven interface like a Futaba or Spektrum would have. If you haven't ever heard of these radios and their features here are the highlights as to why they're so popular. They can run software called OpenTx which controls the radio and allows you to program channels and switches however you'd like. Chances are if you can imagine a certain control scheme for your aircraft, you can program the switches and channels to do it. It isn't super easy but there are a lot of people out there that have figured it out. The Horus radios don't come with OpenTx installed but they can be switched over to OpenTx if you'd like. There are a lot of sensors available for telemetry back to you on the ground for things like battery voltage, altitude, GPS position, temperature, RSSI strength which is a measure of how strong the transimitter signal is being received at the aircraft, etc., etc., etc. Anyone already using one of these radios? A well regarded builder (JetFlyer over on RCG, 8178 on RCU) loves the open software. He has made many good points about it. I posted a wanted ad and came up with a nearly new used Horus X10S today, maybe it'll be here by the end of the week. In playing around with flaps and ailerons I've run into a limit with my current radios where I can't make flaperons that also give me outboard ailerons only in low rates and full span honker ailerons in high rates. I also want to play around more with telemetry options. The receivers are still a little confusing but I'll just have to pick one and run with it, see what's what and then go fly. Anybody else already flying FrSky? John Vesper and dhal22 like this. What did that X10S cost you? This could be a good 2nd radionn idea. New is $410, $300 and supposedly never used so "like new". 8 channel receiver with telemetry is about $35 plus $11 to add a break out module to add four more channels. SBUS servos can access the full 32 channels or whatever it is but I'm not buying all SBUS servos because I'm pretty sure they're expensive! The radio is 16 channels, expandable to 32 with SBUS I think. It's a long way from buying a Futaba 8FG and the receiver, battery, switch, servos, etc. was all packed neatly in the foam! I'll figure it out eventually, it'll be fun. Roger's using FrSky for his big Dalotel which gives me some comfort in giving it a try. For what it's worth, the Taranis X9D Plus in the first post is about $190 new and can be found pretty easily in used condition in internet classifieds for about $125 shipped. The X9D Plus runs OpenTx and has a lot of channels so all of what OpenTx offers is in there. I almost bought one earlier in the day but we couldn't agree on a price then the Horus came along. I've been using Taranis since February of 2014 and haven't looked back. I have four X9D+ and use the X8R in most of my planes. It was a steep learning curve at first, but it's all good after that. I have to say that I don't get crazy with all of the features. It does what I want for my aircraft and I leave it at that. SBUS, Telemetry, PC Interface, Audibles, and on and on. I have 24 planes on gas and electric, again, with no issues. I'm sure you've been reading the thousand page plus threads on the boards. John Vesper and pawnshopmike like this. I also have been using the X9D+ for a couple of years. being a programmer I love the open TX program. just bought the X10S first of the year. Use it with the stock program for about a week then flashed it over to open tx. John Vesper and Bartman like this.